The Sevenbell group, a pioneer in the production of denim since 1952, presents on preview at Pitti Uomo the new Roy Roger’s + Liverano&Liverano capsule collection: the first jeans in tailored style spawned by the dialogue between two historic Florentine companies that inhabit different worlds but have points in common. 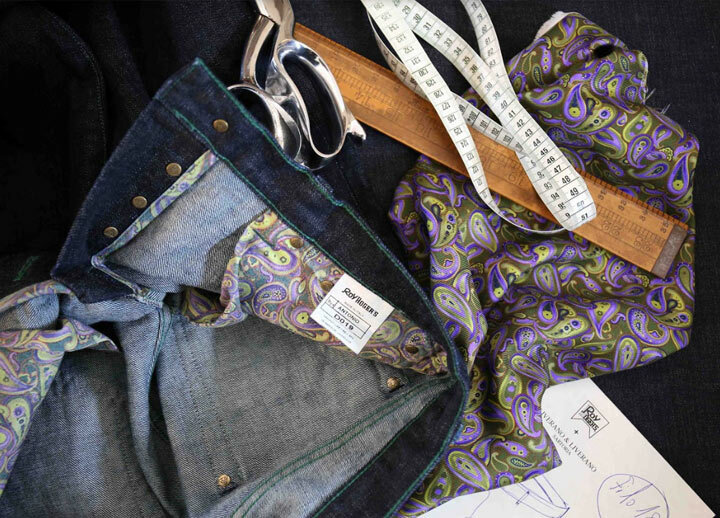 From the encounter between workmanship of the tailoring tradition, such as that of Antonio Liverano, and the innovative creativity applied to denim that hallmarks Roy Roger’s, under the guidance of Guido Biondi, the Roy Roger’s + Liverano&Liverano jeans showcase the sophisticated details of the hand-made that make the difference: cut, threads, lining and topstitching. 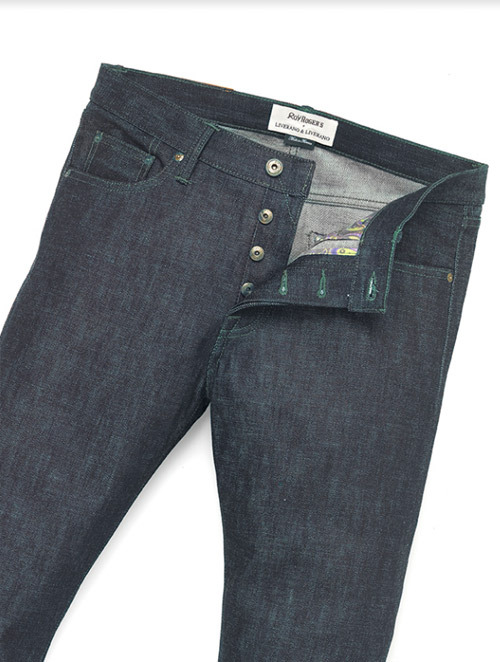 The new jeans are in fact constructed according to the canons of Antonio Liverano in terms of the shorter length of waistband and crotch, the rounded back pockets, the belt loops inserted in the waist seam, as well as the contrast green topstitching and the inner lining in cotton print from the Liverano&Liverano historic archive. Roy Roger’s instead lends to the project its profound culture of denim, its innovative creativity and the quest for a high-quality Japanese denim, the ability to produce tailored jeans with salient details such as the internal rivets and the padding of the belt loops, as well as the study of complex washing processes – Raw, One Wash, Enzymatic, Stone Wash – with a proposal in 4 exclusive declensions of blue. The new jeans come in a special packaging made of horsehair canvas, the reinforcement fabric used in the construction of tailored jackets. “This project is about the meeting between our world and that of Antonio Liverano: worlds that appear distant but have in common the passion and the history of our respective companies (Liverano was founded in 1948 and Roy Roger’s in 1952) and the bond with the local area. “Denim is the most vividly possible way of conveying the impression of crisp, comfortable relaxation: the same feelings that every one of our suits should transmit to the wearer. The collaboration with Roy Rogers also stems from this affinity, superbly synthesising two realities and two visions that are only apparently distant”. Roy Roger's is an Italian fashion brand and a pioneer in blue jeans production, owned by the Sevenbell Group since 1952. The Roy Roger’s products are manufactured near Florence by Manifatture 7 Bell S.p.A. 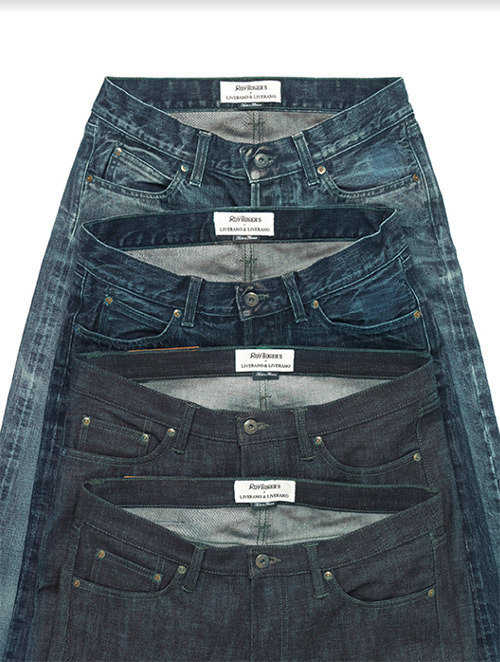 The name of Roy Roger's has always been associated with denim. The original models introduced features that have never changed over the years and have become recognisable brand trademarks: the back-pocket zippers to keep wearer’s wallets safe at work, the front coin pocket and the brand logo label, with its unique black triangle, on the right back pocket. 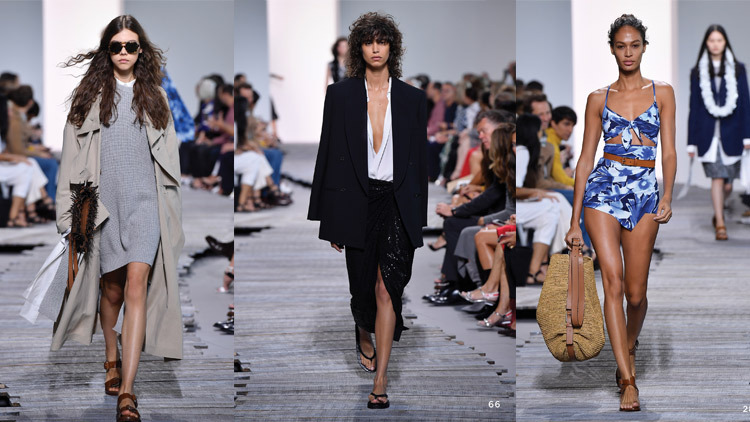 Roy Roger's has evolved greatly over the years and now proposes men's, women's and children's total look apparel, each with different lines and labels but all drawing from the brand's historical archives and incorporating contemporary trends. 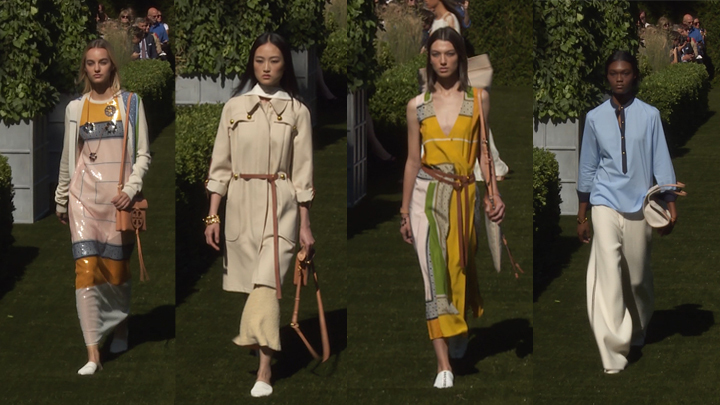 All the collections are proudly Made in Italy and can be found internationally at selected retailers, online and in Italy at the flagship stores in Florence, Rome, Forte dei Marmi and Milan. 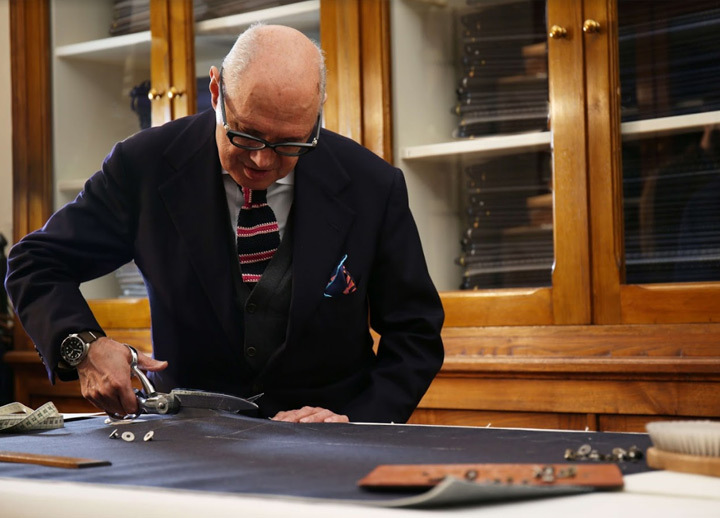 Liverano & Liverano, one of the last of the true Florentine tailoring houses, is widely recognised as one of the world’s finest men’s fashion ateliers. It is now located near the Arno River in Via de’ Fossi. 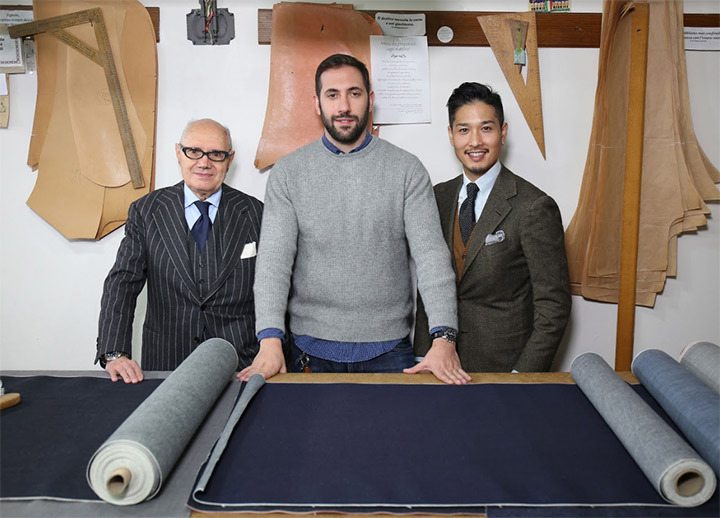 The Liverano brothers began as assistants in the tailoring shops of their native Puglia when they were very young. 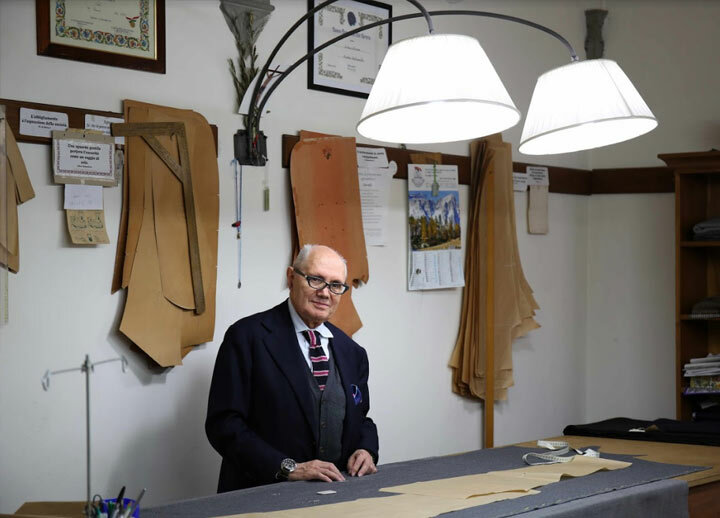 In the late 1940s, Luigi Liverano moved to Florence to work for Commessanti, at the time one of the city’s greatest tailors. Two years later, eleven-year-old Antonio also moved to Florence to work at his brother Luigi’s newly-opened atelier. In 1960, the brothers partnered to form Liverano & Liverano and moved to premises near Santa Maria Novella. Early on, they worked under contract but as time went by they built up their own client base. Liverano & Liverano is credited with having revolutionised what were considered the ‘canons’ of the Florentine suit jacket, by uniting a distinctive cut and never-before-seen fabrics. Over the last fourteen years, the company has initiated collaborative undertakings in Korea, Japan and Hong Kong as well as in North America. See more of Roy Roger’s work at http://www.royrogers.it/en/ and Liverano & Liverano at http://liverano.com/en.